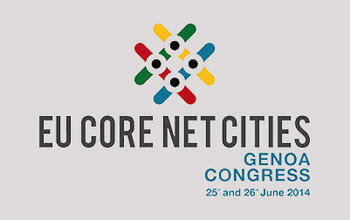 This congress continues the work started in Barcelona in June 2013 and aims to strengthenEU Core Net Cities as a network of cities, drawing on the extension of the trans-European transport networks, promote smart, inclusive and sustainable economic development and the improvement of the quality of life of its citizens. The EU Core Net Cities include European cities and metropolitan areas connected among them that envisage interconnected transport nodes as a key factor of urban dynamism, competitiveness and the promotion of territorial cohesion. In this sense, the Congress will be a space for reflection, of knowledge and experiences exchange where the main trends in urban mobility and in ICT innovations applied to the connection between territories will be presented and discussed. The Congress will held technical and policy sessions with the participation of recognised academics, professionals and mayors of major European cities.